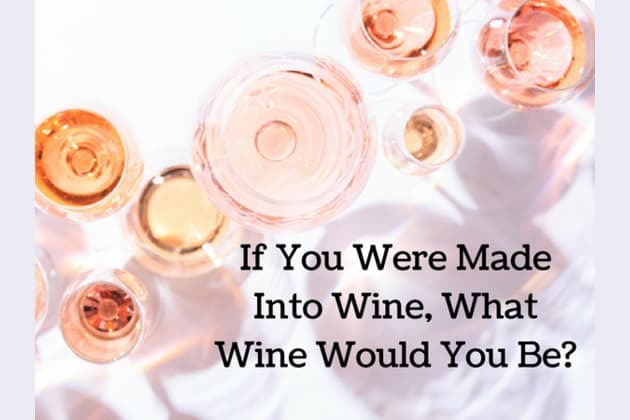 If You Were Made Into Wine, What Wine Would You Be? Choose a country you'd like to visit! Now pick a favorite fruit. What's your favorite event to celebrate? And what's your favorite season? BONUS! How much do you think this bottle of champagne costs?? If you want your "you wine" to taste like the color pink, look no further than rosé! It's like the best between the worlds of red and white wines, in one delicious bottle (or glass!) How cute and flirty of you! You're moody, dark, and intellectual, which means you'd be red wine for sure. Winter days, wool blankets, and fuzzy socks are in order for red wine drinking - or with a beautiful steak dinner! You're the definition of poppin' bottles! Gracing New Year's celebrations and VIP areas everywhere, you'd be the most exquisite champagne. Wherever a good time is happening, you'll be there - how cool! Are you a wine, girl? Because YOU FINE!